�A beautiful and inspiring collection of prayers. The book is like a breath of fresh air, breathing life into the spiritual aspect of pagan practice. The book is inclusive of various traditions, ranging from Greek, Zoroastrian, Celtic, Germanic, Egyptian, and more. Within its pages are provide prayers for almost every situation you can think of. There are prayers for the family and household, prayers to the spirits of place, prayers to deities and ancestors, prayers of thanksgiving, prayers for times of the day, prayers for various moon phases, prayers for times of the year, prayers for significant life events, prayers for healing, traveling, protection, comfort, work, divination, destruction, and much more. 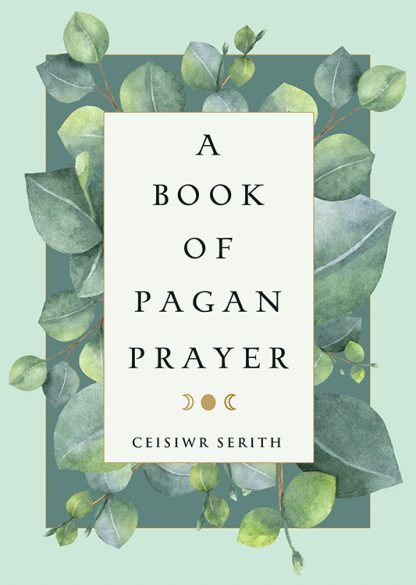 Steeped in tradition��Those of us who call ourselves Pagan owe a debt to all those who came before us��and based on more than a quarter century of research and practice, A Book of Pagan Prayer teaches us to pray in the ways of our ancestors for very modern times and concerns. Changes to this revised edition include rearranged chapters and prayers and the addition of two new chapters, all of which make the book easier to use. The chapters are now arranged in an order that follows a ritual, and all the litanies have been moved to their appropriate chapters. Two new chapters��General Requests and Offerings� and �Travel, Protection, Imprecatory��combine two types of prayers out of the general �Petitions� into one. Prayers have been labeled with the deities to which they are addressed and arranged in logical order within each chapter. Prayers to new deities have also been added. In addition, a major problem with the first edition has been corrected: prayers for Lughnasadh/Lammas and Midsummer, two of the eight great neopagan holidays, have been added. Ceisiwr Serith is a writer and teacher in the pagan community and a member of Arn Draiocht Fein, a Druid fellowship. His interest in prayers and offerings grew naturally as a result of working with Wiccan covens and Druidic groves and writing a book on the pagan family.